As a kid I was obsessed with magicians and magic tricks. Alacazam!! and the rabbit disappears in the hat…. Alacazoo!!!! and a bauble appears in what was an empty hand. I was amazed. As an adult, I am still obsessed with what I consider a certain magic although it can also be explained as technology. I consider appliances, especially ovens, to be magic boxes of a very special sort. Allacazam! I shout to my grandson as I put the gooey egg mixture in the oven. Alacazzoooom!!! I shout this time, 16 minutes later when a perfect cheese soufflé emerges from the magic box we commonly call the oven. “Wow, look what happened!” he says as I did back when I was a kid. Ovens were magic back then. Now, although totally explainable they are still magic to me, nonetheless. Todays’ breed of appliances is even more amazing with the introduction of steam as well as the convection I have come to love. Although I love the cooktop and wall oven arrangement above, my current favorite “magic box” is the Pro Grand Steam range from Thermador. This 48″ magic box includes seven cooking options. All of them are impressive and sure to thrill the home chef. I love this piece because everything is in easy reach for my “cooking station”. The built in warming drawer can warm my plates or allow my cauliflower gratin to stay moist and serving temperature while I’m searing steaks and my rosemary biscuits are magically rising in the conventional oven with convection option. The steam oven can be used to quickly make healthy meals from fresh wholesome ingredients without the need for added fats and oils. 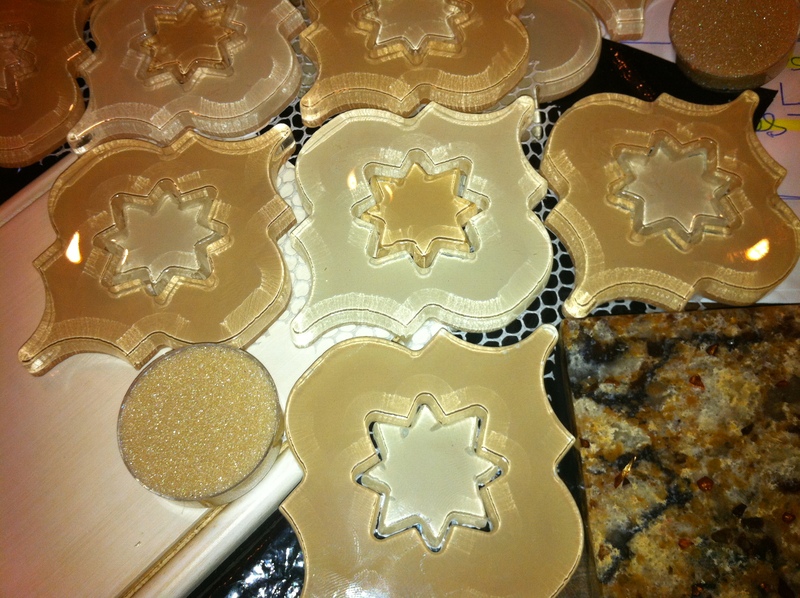 The steam oven can also be used for proofing. A nice feature for home bakers. The griddle option is perfect for that leisurely Sunday morning pancake breakfast, warming drawer so useful for warming plates or keeping the pancakes just perfect so everyone can eat together. All in all, I find the amount of cooking versatility built into 48″ to be a pretty magical thing. 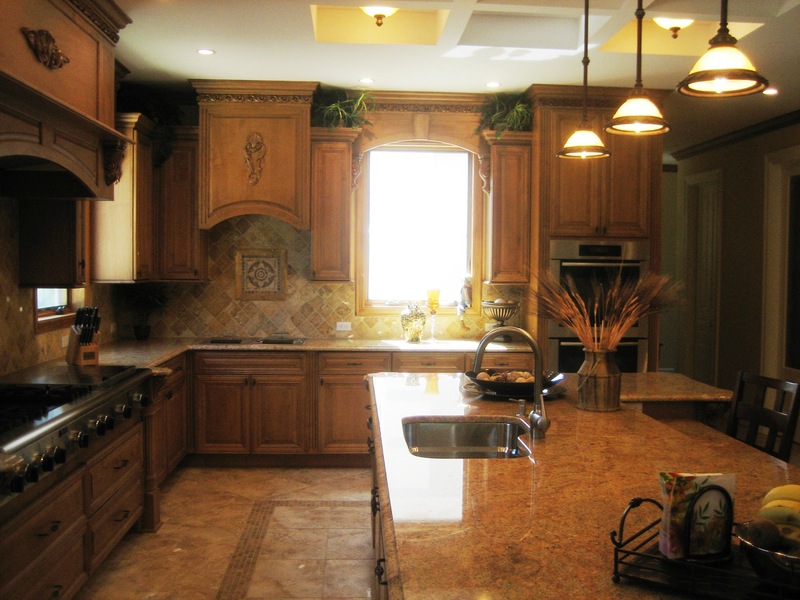 Cooking appliances are where I start when planning your magical dream kitchen. The rabbit and top hat are optional! This entry was posted in kitchen design, kitchens, ranges, stainless steel appliances and tagged appliances, cooking, kitchen design, ovens, ranges, Thermador on April 15, 2014 by tonisabatino. So what is Design and Construction Week? Let me sum it up with this little equation: Kitchen and Bath Industry Show (KBIS) + International Builders’ Show (IBS) = Design and Construction Week. As a new member of the K+BB Editorial Advisory Board, I made my best effort to walk the entire show, seeking out beauty, function and innovation. 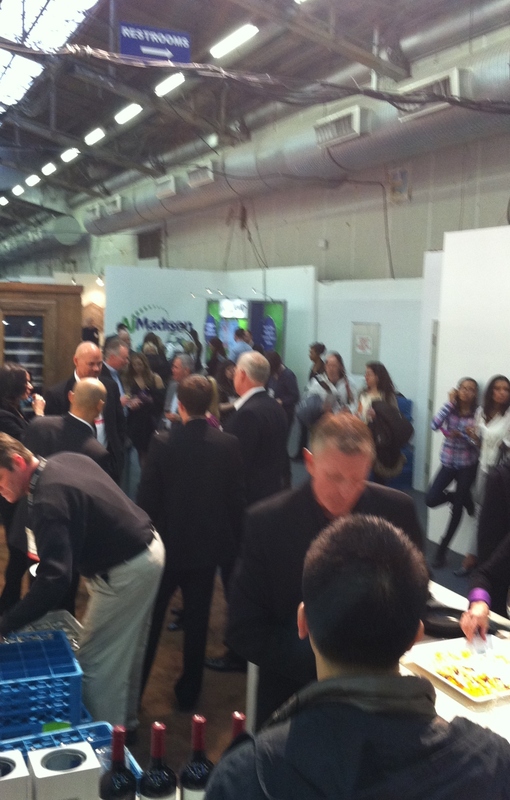 I really enjoyed the fabulous booths from some of my industry favorites like Kohler, Wellborn, Robern and Brizo. I also loved the retro Merillat kitchen set up as a mid-century modern photo booth. A show highlight for me was finding the booth featuring the Falmec Mare E.Ion hood that I helped to select as winner of the Kitchen Product of the Year in the K+BB Product Innovator Awards. Another highlight came on Thursday morning. During a light drizzle, I took the bus ride out to The 2014 New American Home. The home was fabulous! Although a two story, indoor water fall may not be practical for most of my market, I was inspired to see some stunning wall treatments, innovative outdoor living spaces, beautiful baths and …you guessed it… an open kitchen plan. Now for my show favorite, and let me say it is true I might be biased in favor of certain lines. I have long been a fan of Thermador . From the introduction of the pro grand range and refrigeration columns through to the steam ovens, coffee systems, and now the frameless induction cooktop series, I have enjoyed showing my foodie clients all that this line has to offer. My unabashed enthusiasm for this appliance company with the tag line “No Dinner Party Too Large” has actually led to a position on their design council and I couldn’t be more thrilled! Thermador + Bosch + Caesarstone + Genius Design of Mick de Giulio = One Killer IBS Booth! So, yes, happily biased, but all that aside, the IBS booth featuring Thermador, Bosch and Caesarstone, designed by Mick de Giulio was amazing! The simple, clean lines, open flow and textural choices were stunning. I especially loved the use of polished steel in one of the Caesarstone countertops. I really enjoyed watching Chef Kyle create the perfect tuna bite on the new induction cooktop with accessory Teppanyaki pan. I enjoyed eating it, too! Relaxing in the lounge area adjoining the functioning kitchen, I took in the Caesarstone presentation of the “House Beautiful Kitchen of the Year Retrospective”. It reinforced all that I believe about kitchen-centric design. 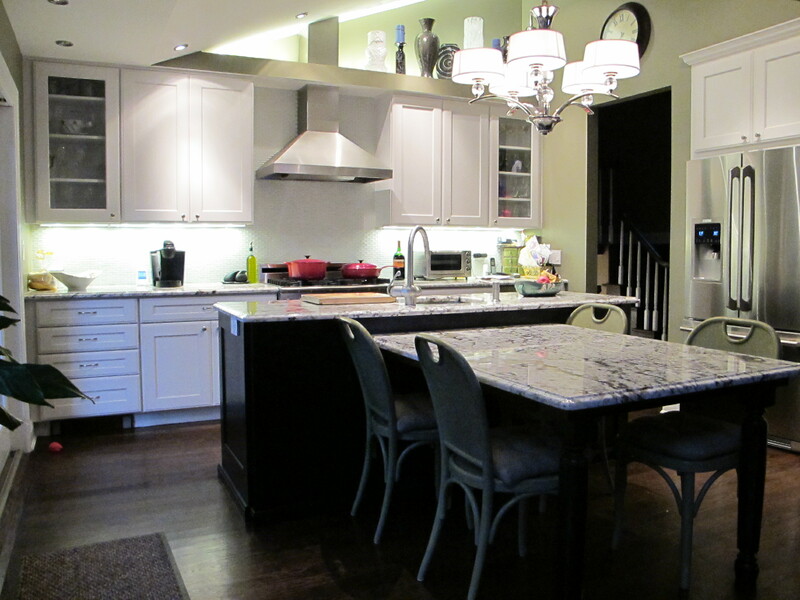 I have always felt that open kitchen plans honor the foodie, the entertainer and most simply, the family. So I will close with this equation: Open Kitchen + Innovative Design + Friends and Family = Good Living! This entry was posted in bath design, design, foodie, home, interior design, kitchen design, kitchens, style and tagged appliances, bath design, Beautiful Kitchens, design, foodie, home design, interior design, kitchen design, style, Thermador on February 10, 2014 by tonisabatino. According to Miriam Webster design is a verb, defined as : to plan and make (something) for a specific use or purpose. The past few weeks brought a set of ups and downs that had me looking around long and hard for directional cues. Breakdowns in technology hardware and software had me assessing the benefits of purchases to upgrade my tools like never before and really focusing on what design really means in my world. Early this week, working on the total renovation of a kitchen on suburban Long Island had me assessing the needs of a family with young children, drawing out the space, providing computer aided drawings, and offering algebra advice to the daughter of a client. Spending time with Andrea, a man from Italy, here in the US to establish a brand presence for an Italian cabinet company had us talking universal design, changing lifestyles, durability of materials, cost factors and the emotion that an interior creates when we are in it. We spent time walking the kitchen showrooms of the A&D looking for innovations and making comparisons in the myriad of products meant to enhance the enjoyment of this all important room. Attending the “What’s New, What’s Next” event at the NYDC had me viewing the latest and greatest at some of the designer showrooms and I learned from a colleague that “slipper chairs” were actually designed for women in corsets to be able to reach their feet to put on their slippers. Form following function……. An internet twitter chat yielded a great conversation on the benefits of radiant heat. A company called Warmboard has a newish product that actually performs well with wood flooring. I find this to be truly innovative and a great benefit in the kitchen. I have always loved toasty toes and the ability to design a cabinetry filled room without the encumbrance of baseboard heat. Truly a good design. A visit from my daughter’s family to celebrate some family milestones had us enjoying the large scale beauty of Oheka Castle, designed for Otto Kahn as a true single family palace before the Great Depression, and appreciating the design of Central Park, with play grounds, ball fields, food carts, restaurants, nature conservancy and much to amuse worked into the 778 acres centrally located in my favorite city. I also thought about someone actually designing that brightly colored sippy cup that kept the spring water from pouring all over my grandson’s jersey. So where did that leave me? Loving the career I have chosen and excited about my new computer, printer and in particular the new version of software I have chosen that will aid me in presenting my room designs to the clients I serve. This entry was posted in custom interiors, design, interior design, kitchen design and tagged A&D, cabinetry, Central Park, design, home design, home renovation, kitchen design, Oheka Castle on September 22, 2013 by tonisabatino. Thanks to my wonderful client for sending me this photo. As an interior designer I find my work to be Kitchen-centric. What do I mean? That the kitchen is the heart of the homes I work in. I don’t think you can overstate the importance of the kitchen and bath industry in our ever changing culture. There is the desire by “Boomers” to “age-in-place” and the economy has created the necessity for more multigenerational families. This combined with the popularity of the FOOD NETWORK and what is being referred to as the “slow food’ culture really accentuate the need for good design in these all important spaces in our homes. In regard to the kitchen, our fast paced lifestyle has given rise to the need for quality down time, enjoyed sharing meals with our family and friends. Creating a space that meets cooking, entertaining and storage needs can really enhance your life. Most of my clients are foodies or they would like to be. I have also noticed more people shopping with increasing regularity at the fresh markets popping up all over my beloved New York City and Long Island. Sales of luxury appliances are on the rise at my favorite local appliance haunt, showing that people are willing to invest in this all important room. I feel that having a kitchen open to an adjoining space really makes for better living. It just needs to be well designed so that the chaos and clutter are minimized. Even creating a simple dinner seems less of a chore in a well designed open environment. Have the tools you need at hand and ample storage for the ingredients and it all seems so much simpler. Thinking about the mail and magazines and matchbox cars on the counter? We can make a place for that. Need a computer station or TV in the kitchen to catch the morning news while having breakfast? We can make a place for that, too. Maybe it is that all important family command center with calendars and notices, or drawers for crayons and kids things…regardless … life happens in the kitchen. 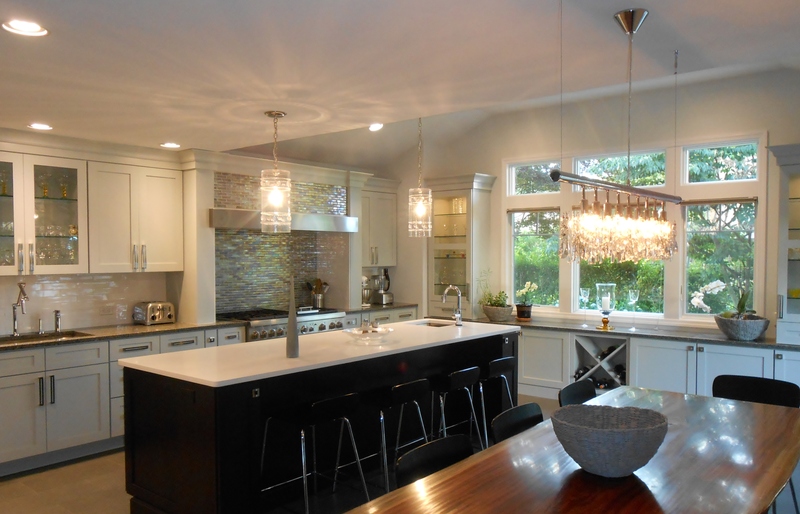 Creating your perfect kitchen-centric design is my job. If you’re looking to get your home in working order for a life that works start with the kitchen and drop me a note. This entry was posted in decor, design, family, home, kitchen design, kitchens, renovations and tagged boomers, decor, entertaining, family, foodie, great room, kitchen design, multigenerational family on September 1, 2013 by tonisabatino. In the middle of a heat wave on a hot night in New York, I braved the 100 degrees to meet up with the American Range tour bus for a Bar-B-Q in the parking lot of my favorite appliance store. The bus was impressive, a big, shiny, black mobile showroom, outfitted with all sorts of residential and commercial cooking equipment but the product and the driver, “Captain” Curt Saunders really made it worthwhile. American Range is a foodie’s dream. It doesn’t just look professional, it is the real deal. Modified for residential UL approval, each piece of world class cooking equipment is actually made with commercial parts in the same factory as the restaurant equipment. This means you are cooking your steak with the same Inconel broiler that is used in the famed Ruth’s Chris Steak House chain. The sealed burners, they are really sealed. While explaining the burner and top options, Captain Curt actually poured some water on the cooktop, mid sentence to show me. Several burner sizes, easy clean inserts, 22″ griddles, (perfect for making that All-American pancake breakfast), and easy clean infra-red grill give the home chef de cuisine all the options necessary to really enjoy the cooking and home entertaining experience. Other things that impressed me were the 36″ warming drawer that will fit a full sized catering pan and the French door wall oven that allows for easy reach and keeps you from burning your forearms while trying to get the cheesecake out of the top oven. Simple, brilliant solutions for world class cooking at home. When thinking about up leveling your kitchen to a real culinary haven, I highly recommend you check out the product line. 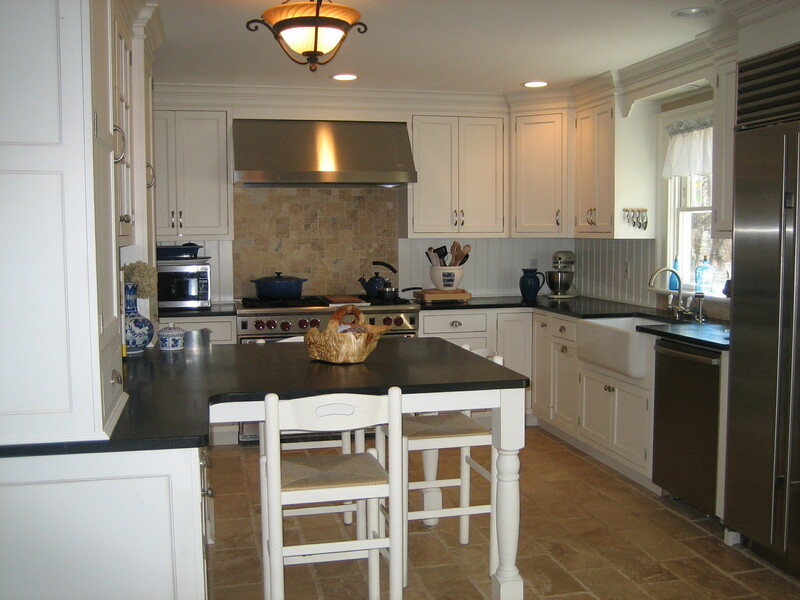 This entry was posted in design, kitchen design, kitchens, stainless steel appliances and tagged American Range, appliances, kitchen design, kitchens, ranges, remodeling, renovation, wall ovens, warming drawers on July 27, 2013 by tonisabatino. This entry was posted in cabinetry, customer satisfaction, design, home, interior design, kitchen design, kitchens, renovations, stainless steel appliances, style and tagged cabinetry, design, eat in kitchen, home design, home renovation, houzz, kitchen, kitchen design, kitchens, stainless steel appliances, Toni Sabatino Style on July 21, 2013 by tonisab. This entry was posted in business, design, home, kitchen design, kitchens, style and tagged American Range, Beautiful Kitchens, Icestone, K+BB Magazine, KBIS, kitchen, kitchen design, Miele, recognition, style, stylish, stylish kitchens, Thermador, Toni Sabatino Style on April 7, 2013 by tonisabatino. 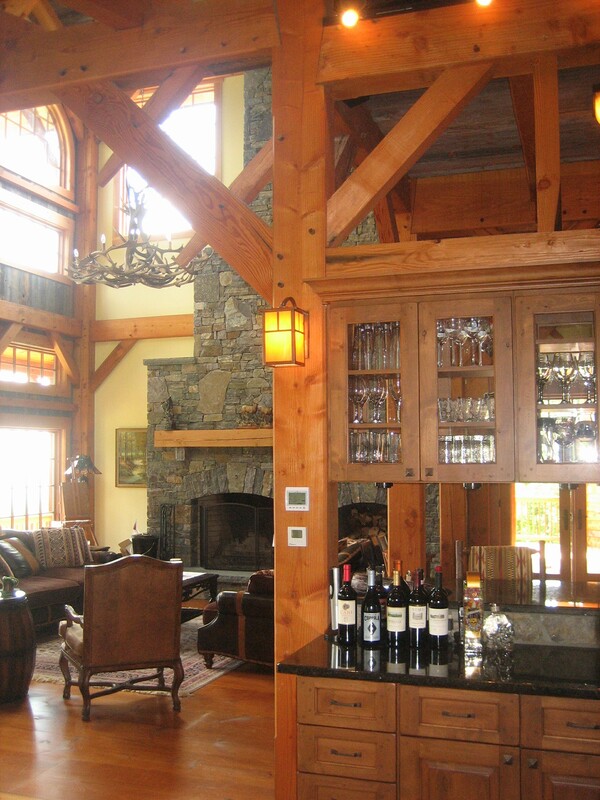 This entry was posted in design, kitchen design, kitchens, stainless steel appliances, wine refrigerator, wine storage and tagged appliances, design, kitchen design, kitchens, stainless steel appliances, steam oven, wine refrigerator, wine storage on March 24, 2013 by tonisabatino. 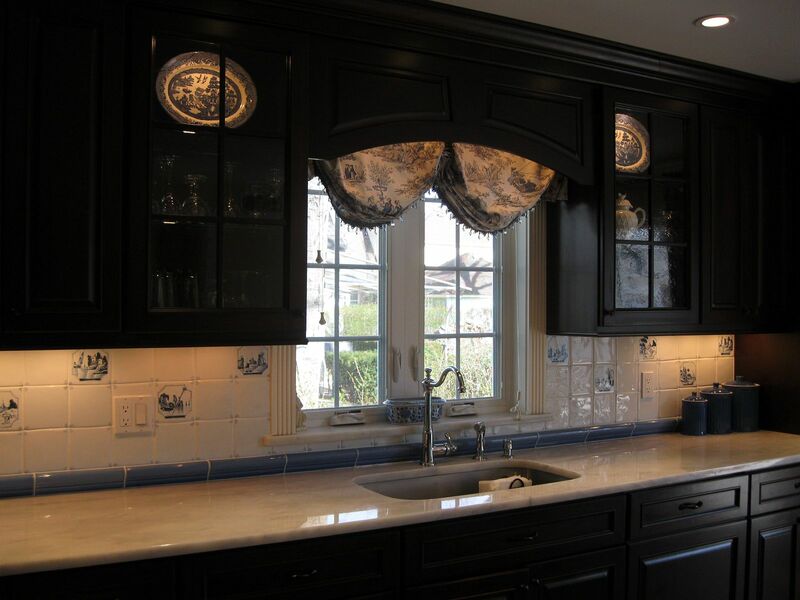 This entry was posted in accents, decor, design, glass backsplash, interior design, kitchens, personal style, renovations, style, Style it's all about the context, tile and tagged backsplash, decor, design, home design, home renovation, interior design, kitchen design, kitchens, style, Toni Sabatino, Toni Sabatino Style on March 10, 2013 by tonisabatino.